"We are a family owned business with over 40 years of experience." 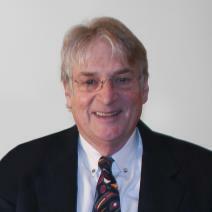 Skip Chalfant is the sole proprietor of H.L. Chalfant Antiques, dealing in fine early American antiques. Born and raised in historic West Chester, PA, Skip developed a love for antiques from his parents. Upon completing his college education and teaching for a short time, Skip began working for Philip Bradley Antiques in Downingtown, PA in 1969. After more than 13 years in the profession, Skip opened his own shop in 1982 in the very same town he was raised. Throughout his 41 years as an antiques dealer Skip has sold some of the finest examples of American William & Mary, Queen Anne, Chippendale and Sheraton furniture known. His pieces have been featured in several national publications including The Magazine Antiques, Antiques & Fine Art, Maine Antiques Digest and Antiques & The Arts Weekly. You can visit Skip's shop in person 6 days a week, online 24/7 and see him at some of the the top antiques shows in the country including: The Philadelphia Antiques Show, The Delaware Antiques Show, The USARTISTS American Fine Art Show & Sale and The Chester County Historical Society Antiques Show. When Skip is not pursuing and selling antiques he is giving back to the community and profession that has provided him with so much. In addition to public lectures, Skip is a former president and board member of the Antiques Dealers Association of America and former member of the board of the Chester County Historical Society in West Chester, PA. He is still active in each of these organizations. When he is not immersed in his profession you can find Skip on a race car track, diving in 100 feet of tropical water or enjoying the company of his family and pets. Being the son of a well-respected antique dealer, Scott has been around the decorative arts his entire life. After several years working with Internet and software companies, Scott brought his business and marketing experience to the antiques business. He has participated in a locally televised show inspired by the Antiques Roadshow called Antiques Discoveries, conducted numerous events on behalf of the gallery and has written articles on decorative arts for trade publications and our web-site. He is currently a board member of the Antiques Dealers Association of America and a preliminary board member with the Alliance for Art & Antiques. His initial experience is in early American furniture, but he has branched out into fine-art and mid modern furniture. 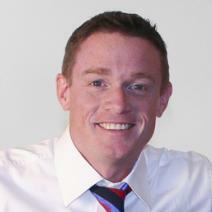 He holds a degree in Political Science from Albright College and an M.A. in International Economics from American University. When he is not in the gallery, he is spending time with his wife and two children.